Alex Kirkland is a vice president at Coker Group. 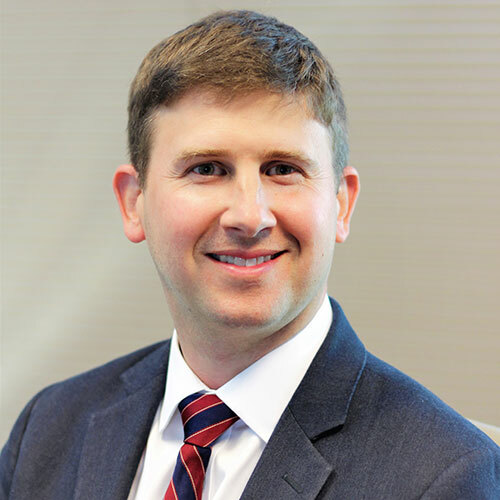 He has over ten years of healthcare experience from a financial and operational background with an emphasis on physician compensation, reimbursement models, and population health. With Coker, he focuses primarily on physician alignment transactions, compensation trends, and payer reimbursement strategies. Led consulting engagements for various services in the health system and for medical groups, including co-developing and leading delivery of a MACRA consulting offering where outcomes ranged from increased quality scores to incremental revenue based on new payment model strategies. Implemented performance improvement initiatives within many employed medical groups that drove baseline revenue or reduced expense structures necessary for financial sustainability. Developed a framework for a medical specialty organization to assist their membership in evaluating alternative payment models (APMs). Oversaw a team of 20 delivery resources to support a $20M+ reporting product that identified financial opportunities for medical groups. Served as finance manager for diabetes treatment centers.